The only inland village of the “Lost Villages”, Wales was built on the land grant of Dr. James Stuart, of the King’s Royal Regiment of New York. From 1810 to 1957, five generations of the Stuart family lived on this property. Doctor Stuart’s grandson, James inherited the site and he built a home and store, and later a hotel. He also donated the lot for the Presbyterian Church. 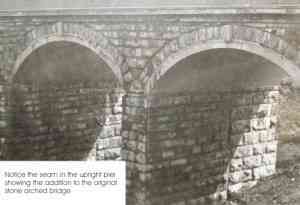 Two brick churches stood in Wales at the time of the Hydro and Seaway projects of the 1950s. St. David’s Anglican Church and St. Mark’s United Church were prominent landmarks in this “Lost Village”. Following the completion of the first track of the Grand Trunk Railway in the 1856 (the second track in 1900), the village became known as Dickinson’s Landing Station, as the site of Dickinson’s Landing was not connected to this railway line, although the community was served by the station which developed about one mile to the north. In 1860, Edward, the Prince of Wales, (later King Edward VII), disembarked at Dickinson’s Landing Station, intent on traveling out to the St. Lawrence River for a journey through the Long Sault Rapids. Legend has it that he asked the townspeople why such a little place had such a long name, Dickinson’s Landing Station. Following his visit, the people made application for a post office in the community and the village was named in the Prince’s honour. By 1906 the village boasted five general stores, the three storey Connelly Hotel and several tradespeople typical of a small rural community. On September 21st of that year, fire broke out destroying one house, the bakery, the jewelry store, and three general stores. Noticing that Wales was the center of a farming community, L.G. Wert built a grist mill, egg-grading station, and a hatchery in the 1920’s. As well he owned a large apple orchard. In the 1940’s, D.H.C.Smith replaced the grist mill with a large, modern plant. He also constructed a new hatchery about 400 yards south, close to his residence. Following the success of L. G. Wert’s apple orchard, Mr. Smith developed an orchard farm of over twelve hundred trees. Shortly before “Inundation Day”, Mr. Smith rebuilt the grist mill and hatchery just west of New Town #1, – now named Ingleside. Dr. James Stuart was born in Scotland. He enlisted with the 42nd Regiment of Foot in 1766, and served as a surgeon’s mate until his emigration to America. He enlisted with the KRRNY on August 18, 1777. Upon disbandment of the regiment in 1783, he had served for a total of fourteen years under the British ensign. Dr. Stuart had settled in New Stamford, Ulster County, New York. He was a practicing physician in Wales. The following history of Wales was written by Mrs. Mary E. Snyder, about 1927. This narrative has been provided from one of the Wales Tweedsmuir History Books, recently donated to the Lost Villages Historical Society. The book contains many fascinating stories and bits of information about Wales and its people. We are grateful to the Women’s Institute, and especially Mrs.Verla Gallinger, for thinking of the Forbes Memorial Reading Room as being the repository of these important documents. Come with me for the next few minutes on a journey. Let us reverse the year that carries us forward so relentlessly and let us go backward for a period of a hundred years. You can do this quite easily, if you leave your bodies seated in these more or less comfortable chairs and allow your minds to travel as disembodied spirits and stand with me at the top of the hill north of Wales, about the year 1827. We gaze southward and see a trail-like road, with the forest on either side. We gaze northward and see the same sight: forest, forest everywhere and over all the blue sky. We know, however, that were we to follow this rough road, we would come to a village on the bank of the St. Lawrence, just above the Longue Sault Rapids, where, in those days, the settlers round about, went to change their produce for necessaries. Money was very scarce, so trade was carried on by the system of barter. To give some idea of what these early settlers had to do – one man who would now have been a hundred years old had he lived, and who was then a boy, walked through the forest from the Windfall carrying a basket of eggs, which he bartered for a pound of tea and a spool of thread at Dickinson’s Landing. Such was the condition of commercial affairs a hundred years ago. We cannot discuss the history of Wales, without discussing the ‘Stuart’ family, upon whose land the village was built, three of whose descendants are still living near the village, viz. Arthur Stuart, Roy Stuart and Fred Morgan. In 1784, after the American Revolution, the United Empire Loyalists came to Canada, and, one of the number, Dr. James Stuart was granted about 900 acres of land. He had three sons, John Roy Stuart, George Stuart, a barrister at law, and Harry Stuart, who settled in or near Chatham. The Stuarts were natives of Inverness, Scotland. Murdock Stuart inherited his property, through his father, John Stuart. Murdock Stuart built the home now occupied by his great grandson, Roy Stuart. This house was built about 1810 (?) as Murdock Stuart was married in that year to Isabella Grant. (Editors Note: In 1955 Mary Snyder added some information concerning the house, and this may be found at the end of this narrative). Thus, the old house across the creek is one of our Canadian “Houses of Romance”, and the present owner is the fourth of the same family to live in it.The house, itself, is over a century old, and could it speak, could relate many an interesting tale of the most fascinating time in Canadian history – the story of the long-ago. The names of the occupants, in order, are Murdock Stuart; Charles, son of Murdock; Wallace, son of Charles; Roy, son of Wallace; and probably Bruce, son of Roy. Of course, these did not live in the house successively, as the late Mr. John Stuart, a grandson of Murdock Stuart, lived in it for several years, followed by his son, Arthur, who finally sold it to Wallace Roy Stuart, whose dream it was to live on his grandfather’s farm. Murdock Stuart had seven sons. He gave the land as follows; To Gilbert was given the farm now owned by Fred Morgan and Arthur Stuart, grandsons of Gilbert; to John Roy, the farm owned by Herbert Markell, whose father, Edgar Markell, married Lydia, daughter of John Roy Stuart. This also included the land where George Sampson lives, whose first wife was Celia, another daughter of John Roy Stuart. To William was given the farm owned partly by William Maginnis and partly by W. Donnell; to Alexander, the lot owned by Karl Snyder; to Robert, a field between Alf. Johnson’s house and the orchard (at one time there was an orchard) now owned by Arthur Stuart; to Charles, the property now owned by Mrs. Wallace Stuart; James owned the rest of Wales. James, a merchant, built the house where Mr. Fred Morgan lives, about 75 years ago and kept store in the front part. He also built a brick hotel on the site of the present “Shields’ House”. This he sold after a time to the late William Hanes. Later, it burned and Mr. Hanes built the hotel we have now, which he sold to the late James Connelly, Sr. This James Stuart gave the lot upon which the Presbyterian Church was built and opened in 1893. St. David’s Church is also built on a lot bought from the late James Stuart. Thus, you see how impossible it would be to relate the early history of Wales, without going into details about the Stuart family. Also, at the time of the battle of Chrysler’s Farm in 1813, when General Brown and his brigade were attacked at Hoople’s Creek by the militia, several of the American were wounded. One, who was severely injured, was left near the house of Col. Hoople, which stood upon the bank of the creek. Here, an old lady, probably the Colonel’s mother, found him. She and her servant girl, the only inmates of the house, brought the wounded man in and took care of him. The old lady tended him like a mother, scolded him soundly in German, if he did not do as she wished, nursed him till he died, and then had him decently buried. Some years after his death, she told a friend, the late Dr. Archibald, that she had dreamed that she had gone to look at the soldier’s grave and had found a very fine hill of potatoes. Her friend represented the facts to the American Government with such good effect, that she got the sum of $600 from the authorities at Washington. So much for the creek that flows through Wales. Wales received its name in 1860, after the visit of His Royal Highness, Albert Edward, Prince of Wales, afterwards Edward VII. The Prince came up on the train from Cornwall to run the Rapids, and got off at our station, which was then called Dickinson’s Landing. 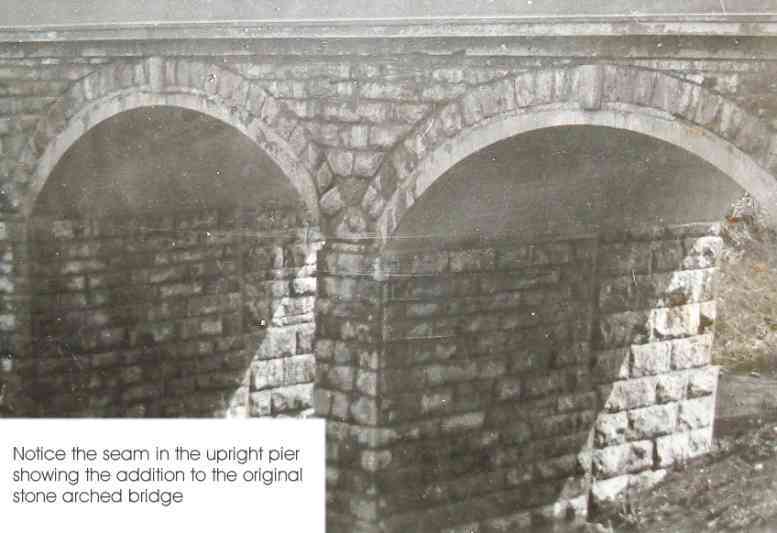 The Prince inquired of the first station agent, the late William Martin, uncle of Miss Nellie Martin, why the place was called Dickinson’s Landing, when the real Dickinson’s Landing was a mile to the south, on the River St. Lawrence. Of course, every word a prince utters is made up of letters of gold, so the people, among whom was Mr. Martin, decided to call the place Wales. The Prince drove to Dickinson’s Landing in a beautiful carriage owned by Mr. Milton Read, one of the merchants then doing business at the Landing and the boat was waiting at Colquhoun’s wharf, and all the people followed him, to see him walk from his coach to the boat on the carpet of leaves made by the loyal women of the countryside. There’s a comical incident which has often been told by the older people about the Royal visit. A pretty little four year old girl, daughter of a Williamstown doctor, had been visiting some relatives on the second concession, when she sickened with smallpox, and gave it to others of the family. The very young man of the family had to spend his time in the barn and fields, and eat on a little table out of doors, or in the woodshed when it rained. He, being of sociable nature, became weary of the monotonous life, and made up his mind to see the Prince. He came to the station and found that he had the right of way, as men, women and children fell back and cast baleful glances at him. But looks couldn’t kill, so he calmly selected the most advantageous point from which to view the Prince, and of all the people present on that day, this young man had the best view. This young man is now an old one, nearly four score and ten, and still relates with great gusto, how he saw the Prince. (This young man was Augustus Blackburn, Sr.). When the Grand Trunk Railway went through Wales in 1856, the cars were as great a curiosity as the first automobile, which was a red-and-black runabout driven by a Chicago woman, Estelle Ryan Snyder. Two ladies had been visiting Dickinson’s Landing, and coming home, they had asked a man if the train had gone through yet. He said, “No, but it would soon be due.” So the ladies drove across the track and waited. When the train came, the horse ran away to its home in the 2nd, and the husband of one of the ladies created the expression in this part of the world, “Did you ever see the cars?” Needless to say, they had not seen them that time. The first house built in Wales was built where Mrs. Bigelow lives and was owned by a Mr. John Lacey. A house stood where Mr. Arthur Stuart’s barn stands, in which lived a Mrs. Thomas Maxwell from Ireland. Across the road from the Locey house, lived a Mrs. Reddick. These two ladies were friends of Mrs. Stuart (Murdock) and crossed the creek on a hemlock tree to visit her. The first store in Wales stood where Mrs. Martin lives, and was built by Mrs. Lyle Southworth, whose daughter, Mrs. William Baker, lives in Morrisburg. The next store was built by Mr. W. Baker, and is now owned by Mr. Feader. Mr. Levi Markell owned a store, north the Montreal bank, which he built for his residence. A man named Joshua Sullivan also kept store for a time. Mr. James Shaver built the building in which the Post Office is, at present, and kept store therein. Mr. David Ransom built the store now known as Ransom and Connelly. Later, Joseph Kerr bought this store and ran it for many years. At his death, it was sold to the late John R. Manning who afterwards sold it to Ransom’s Limited. Charles Stuart built a store where Mr. W. Wert lives. Later, he sold it to the late Samuel Warren who ran it until it was burned in the Wales fire. Croil and McCullough ran a store in the large building owned by the late Mrs. Augustus Blackburn, which was also burned in the Wales fire. Croil and McCullough kept store in Mr. Baker’s brick store. 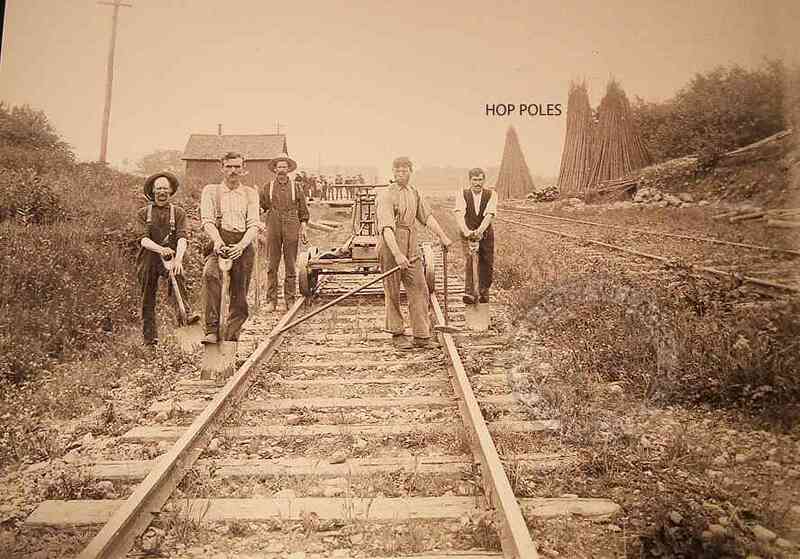 Both Warren and Kerr bought grain, wood, ties, ships’ knees and hop-poles. At the time of the Wales fire, over twenty years ago, there were five stores doing a good business in Wales, their proprietors being Manning and Son, D.A. Meikle, F. Warren, L. Hickey, and W. Bigelow. The greatest event that ever happened in Wales was the Wales fire. Those of us who witnessed that horrible sight have never forgotten how powerless the men were to fight that awful foe. Scores of men stood around, listening to building after building drop, powerless, unable to lift a hand to stay the course of the dread destroyer, and yet, after a lapse of twenty years, Wales is without any protection against fire. At one time, the G.T.R. station stood where the agent’s house now stands. West of it, about opposite the Connelly House, were two huge tanks, to which water was pumped from the creek by an engine. Thomas Sothern, who built the house now owned by Mrs. Leland, had charge of the engine. A man was drowned in one of the tanks. There have not been many station agents at Wales. The first was William Martin. Then there was a Mr. Griggs. There was also a Mr. McColl, who died of smallpox, and for forty-seven years the agents were the Snyders – father and son – followed by Mr. J. A. MacMillan. The church of England rectory was bought from Mr. Alex Eamer, whose bake shop was across the road where Mrs. Murray lives. The rectory was a small, brick house at first. Then the congregation built it as it is today. The first rector to live therein was the late Rev. Robert Walter Samwell. He was succeeded by the Rev. C.O. Carson. Wales, at one time, had a fair, to which such crowds came that it was called the World’s Fair. But it gradually petered out. Wales also had, at the time of the fire, a Public Library of about one thousand volumes. But it gradually petered out. It had two flourishing tailor shops for a number of years. But they gradually petered out. It had two dress-makers. Now, there is one. You see, this petering out process seems to be peculiar to the village of Wales. Let us be very careful that the Women’s Institute doesn’t peter out. It also has something that it never had before, namely, a resident doctor and a dentist, and we hope the people of Wales will be obliging enough to get sick once in awhile, and to have false teeth made so that they will not peter out. Also, we have the poultry yards and grist mill, which is one of the most important business concerns in the village. After the primeval forest was cut down and burned, one balsam tree was left, which for over a hundred years, stood at the hill on the west side of the road. As the years passed over its proud head, the storms bent the fine old tree towards the east and finally it was blown down and the grand old monarch of the forest, which for so many years had stood in lonesome grandeur upon the hill, was laid low. Many sentimental people missed the fine, old tree, among them being Dr. George Wagner of Washington State, who, on his last visit, inquired about the old landmark, and who had Mr. Alex Brown motor him to the spot and from there Dr. Wagner took several snap-shots. We have all been “Looking Backward” for a time. Let us now look forward hopefully to the future of our village. We members of the W.I. have a great responsibility resting upon us as we have the power, if we only bestir ourselves, to do many things to better our village and community at large, and though at times life’s road may seem long and dark, and life’s burdens heavy, the memory of the splendid courage and resourcefulness of our pioneer ancestors should inspire us to press forward with firm tread, unswerving purpose and high hope, or as Charles G. D. Roberts so beautifully expressed it. I tramped it too long not to know there is truth in it still, That lure of the turn of the road, of the crest of the hill. So I breast me the rise with full hope, well assured I shall see, Some new prospect of joy, some brave venture a tip-toe for me. Once again, the society thanks Donald Stuart for taking pen in hand and providing his reflections on life around Wales, Ontario. This narrative will take us back to Connors’ Race Track, on the Upper Wales Road. A gravel road connected the village of Wales to the village of Dickinson’s Landing. We always referred to it as the Upper Road. The road lay on the east side of Hoople Creek and between the road and the creek were the Anglican and United Church cemeteries, both shaded by large beautiful pine trees, a grand site for a last resting place. Just south of the Anglican cemetery there was an inconsequential gate leading to a sandy lane of no apparent consequence, but it led to a timber bridge over a creek, then up a hill to the race track. When I was in public school, I found a paper rolled up in the bottom of our family wall clock. My grandmother unrolled it for me and it was a poster announcing the Osnabruck Exhibition. On it in my grandmother’s hand was the date 1896 at which time she would have been 25 years of age. The poster announced a two-day program including a horsedrawing competition, horse races for both saddle and harness, foot races for boys, a comedy act from New York and a local band to entertain. Fortunately quite a few of these posters came to light and we have one framed. As to when this Exhibition started or when the last one took place, I have no idea. I remember horse races taking place here on the 29th of May because I was fishing and it was so bright and warm the fish were not biting. This I know was pre World War II. Mr. James Connors and Mr. Eldred Markell each owned half of the track site. They had married two sisters of the Eamon family who had evidently owned the whole property. There was a rough building with probably accommodation for ten horses in stalls and a tack room midway in the building. West of this was a shallow gully where there was a good spring in which had been inserted a square box frame and from which all water for the horses had to be carried by hand. The spring was shaded by pines and there was a grove immediately to the south of the stable that broke the heat on summer days. Here was a great gathering place on Sundays for local horse enthusiasts. Sunday, being part holiday for most of the farmers of the district, they came to admire the horses and to gossip. Generally a good time was had by all. My brother, Bruce, loved horses as a child and never lost the habit. He went early and late to the race track, feeding and watering when Mr. Connors was away at a race meeting or fair. Eventually he walked or jogged many of them but fortunately or otherwise never became a race driver. From Wales it was common practice to go up the railway track, over the bridge and then through the woods to the race track. As a youngster I remember this as a well-worn path and it halved the time of going around the road. I have a vague recollection of seeing men playing field lacrosse in the infield although there is no one to verify my statement. The only manmade fixture in the infield was an elevated platform or box about eight feet square where the starter and judges would keep the horses and drivers under control by megaphones and strong vocal chords. The starts were a jog up to the wire, gradually increasing in speed. If the racers were pretty well even with one another the starter would yell, “Go!” If there was a problem, perhaps one horse more or less refusing, the starter would ring a bell and all would go back down the stretch and come up again for a start. Usually, after about three false starts, he would yell, “Go!” no matter what. Mr. Karl Wells held this position at most local races and usually had the same fellows as judges. Unfortunately I can’t name them. On a race day Mr. and Mrs. Henry Laflamme and family dispensed cold soft drinks from tubs of ice blocks and some of the best hamburgers one ever ate. Near the stables was a low-roofed building that in season housed various drivers, owners and helpers. A couple of beds and a stove and it became a sort of home. I remember Harry Caldwell and his sons, Russ (often called Buck) and Donald, who was about my age. They had a brother, “Pim” Caldwell and a helper, Tommy Duff. They all stayed at the track. Jim Connors lived in the farm home in Dickinson’s Landing. The track itself was sandy and my brother tells me that two laps were actually one hundred and ten feet over a mile. Our grandmother told Bruce that our grandfather had helped Mr. Connors plough the race course. This pre-dates 1925 when I was born, as by that time my grandfather had passed away. Some of the men and horses that Bruce and I knew still stand out in my mind ( my apologies to those I have forgotten or didn’t know) . There was Jim Connors ( called Connors by most of us) who, in the 1930’s, owned a mare called Lucille H. Jim told me himself that she was his mainstay in paying off the mortgage. From her, he raised several colts that never measured up to their dame. Later, he owned Joesdale Tiger and a great favourite, Gilbert Grattan. Here I must mention that Gilbert Gratton had a mascot and stall mate – a goat. If Connors and Gilbert went away to race, the goat went too, as the horse needed him around. For several years Connors drove and trained for Dr. Locke of Williamsburg. The doctor had a very good mare named Lily Park and Harry Caldwell drove his good mare, Molly Hal. At the local fairs one mile constituted one heat and there were often two or three heats on the same afternoon for the same horses. Prize money was small in those days – fifty or maybe up to one hundred dollars and that was divided up among the first three or four horses. Mr. Karl Wells of Aultsville had a little trotter called Harwa. Mike Van Allen of Morrisburg had a good horse called Liberty Todd that I can remember walking for miles to cool him off after a fast mile. Mr. Percy Johnston, a storekeeper from Mille Roches, had a trotter called Neptune. Percy drove him in races himself but he was trained by Jim Connors. Neptune was inclined to go off stride and run, and when he ran he was almost impossible to stop until he gave up himself. I can remember Connors telling us that he always thought he could ride as fast as the horses could run but one time when Neptune took off, after the second mile Connors wasn’t so sure. Johnson also owned Tony St. Charles and Miss Abby. Mr. Stanton Bisbee of Moulinette had a horse called Pineridge Mickey that Connors trained and raced. Mr. Charlie Pyke drove a horse, Midnight Gratton. Midnight didn’t like going away up the track to score and sometimes just as Charlie was turning him, he would balk and there he would be when the other horses turned and broke into speed. This caused a great deal of cursing and turmoil. Mr. George Bissonette of Cornwall had Alan Pointer – most often a follower, not a winner. John Shaver, a drover from Avonmore, owned Admiral Peter, a stallion that kids stayed away from. Bob Shaver, a farmer from Wales, had Black Feather who was quite a leader for three quarters of a mile and then he’d fade. Jim Barklay had a horse called Johnny Stuart. Jim was quite hard on his horse and everyone warned him that the horse would get even. He did; he bit Jim on the upper arm – a very bad wound. Frank Thomson of Newington had a horse called Peter T. Mr. Arnold Robb of North Lunenburg had a Miss Topic. Connors drove two horses, owned by a Mr. Ault from Winchester, called Tilly the Toiler and Oakley Gratton. The Caldwells trained and drove Senator Range and Molly Hal and the Comet. George Timmins had a Lucille Peters. Leonard “Whitey” Dunlop of Dickinson’s Landing did chores for Connors, when he was a boy. As he grew up he began to jog horses and then to drive them seriously. In the early 1950’s he was working for and driving professionally for a Dr. Perrin of Brockville. From our farm, on a hot summer afternoon, we would sometimes know when horses were being worked hard as we could hear the shouts encouraging the horses to greater speed. One amusing incident I was told about was that when Connors was going up the back-stretch, which was immediately bordered by his woodlot, he was often attacked by a partridge which must have nested close to the track. The bird would fly right at Jim’s head. Rather disconcerting when you are trying to guide a fast- pacing horse. Jim finally had to get one of the local hunters to shoot the bird. Then there was Silver, Harry Caldwell’s police dog. Silver was a good watch dog and I know of one individual who lost the seat of his pants. He tried going into the Caldwell’s tack room when they were all out on the track. Another time Connors took Silver to drive some of his young cattle in the creek pasture. The dog got hold of a young bull by the nose and got him down in the creek. Connors had to wade in and save his bull from drowning. He made it a good story. One summer, one of the Black Horse stallions was kept at the track. His name was Cornell’s Jim and I used to lead him around. You could almost see your reflection in his shiny coat. On Sundays, some Black Horse Ale used to come up from Quebec for the boys and it was then I had my one and only drink of Quebec alcohol and spring water. One was enough. The old timers seemed to relish it. There were years when there were no horses at the track at all. One summer, a motorcycle club from Cornwall raised great clouds of dust as they used the track. It seemed disorganized, but they were having a lot of fun – even when they lost control now and then and drove right into the woods. For anyone who frequents the big modern raceways, it is quite a comedown to watch horses perform on the local tracks, but for the horse lover, a race is a race and the spirit is still the same. 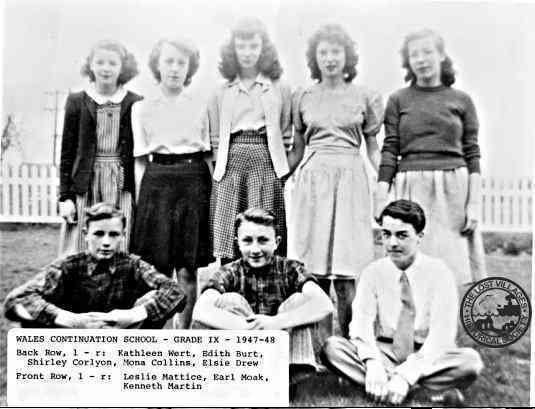 S.S.# 5 – Wales Continuation School In June of 1931, I had my sixth birthday and so, in September, like it or not, I started to school at School Section Number Five in the Township of Osnabruck. 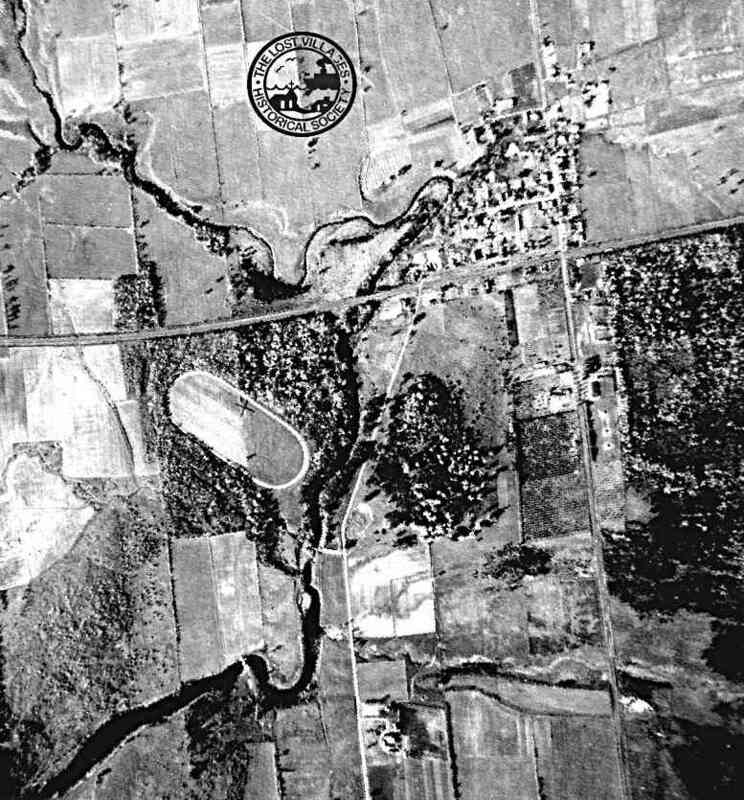 The school was located on the second concession road about half a mile north of the village of Wales. 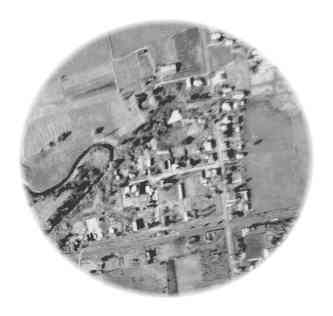 This school drew children from the village and from along the concession road to the boundary with Cornwall Township which was about a mile and a half east, and west to Hoople’s Creek which was about three quarters of a mile away. It was a two-room school; the second room was for the first two grades of High School. In this same year a third room was added and then it was possible to graduate from Grade Twelve. The senior rooms were called Wales Continuation School. I have no distinct memory of day one. I only know that four of us started that day: RoseMarie Laflamme, Jean Hill, Hugh Adams, and myself. I know we weren’t strangers and had some sort of “kid affiliation” going back before school. We spent our public school years as a class and all moved into the Continuation School together. Our teacher was Mrs. Mary E. Snyder, a veteran in 1931 as she had also a hand in teaching my father. Dad was born in 1895 and supposing that Mrs. Snyder taught him at age eleven … that meant 1906, which would give her twenty-five years experience before I started. She was the only public school teacher the four of us ever had and in later years we all considered ourselves lucky to have had her. I can remember some things about the first years – especially that some of the older students looked like adults to us. By law you had to stay in school until you were sixteen, and because of the stiff entrance exams before high school, some just never graduated from public school at all. It is fun to look at old photographs of the entire group of your classmates and almost inevitably there will be one or two that you cannot name or recognize. Mrs. Snyder ran the school. Her rules were the rules and at times she was a real disciplinarian. There was a strap in a drawer of her desk and we all knew very quickly that she would use it. Sometimes it was just brought down on the desk with a bang and all foolishness stopped for a while. In the early thirties there was a school fair. It was held in Osnabruck Centre and the township hall was filled with fruits, vegetables and exhibits of wood collections in competition with all the other children in the township. I remember winning first prize for a bunch of carrots. These were the best five, out of two rows thirty feet long, which were dug up the day before the fair, washed and sorted and resorted until one had the five best-shaped and closest-as-to-size as one could pick – a beauty contest for carrots. We were given the vegetable and flower seeds by the school in the spring and were encouraged to look after them ourselves. At these school fairs, the schools had a march-past with two children in front carrying their school banner. My, how we trained for that march! We went right, left, around that school yard under Mrs. Snyder’s martial eye for a lot of hours. I know I was on the awkward squad. I didn’t know my left foot from my right and, like army privates, we were blistered by our teacher-sergeant. There was also public speaking. Oh, the agony of standing on the platform of a truck and reciting to what I was sure were deadly enemies! I know it was good training for an uncertain future but at the time it wasn’t my idea of fun. Every December the school put on an entertainment – usually in one of the local church halls. I know every parent and relative came and jammed the hall to the doors. At these affairs, a time was set aside when the School Board awarded books to everyone who had passed from one grade to another. Mrs. Snyder, who was a great book lover, also presented books that were her own gifts. Even now, sixty years later, it gives me a good feeling to open an old book and recognize her handwriting – “Presented to so and so on passing from junior fourth to senior fourth.” The classes were numbered like that. It was a few years later that they became numbered grades. One thing we had at school was a large yard and at noon and recess we usually played, segregated. Boys and girls did play ball together and in one of these games I was catcher and the girl at bat threw the bat into the air and it came down on my head. I was rushed into school with blood pouring down my face. After it was under control I was sent home but, for sure, we never saw a doctor. We played a rough game in which we tied two wooden spools about three inches apart and used tree branches to hurl them back and forth. Eventually someone got hit in the face and cut, and the game was forbidden from then on. We were encouraged to go outside at recess no matter the weather. Our outhouse was also the outside type and one had to put up one’s hand and be noticed and excused. The public school was heated by a wood-burning furnace in the south-west corner of the room. There were days in the winter when it was the only warm corner. Yet I remember plants on the window sills which we were encouraged to look out for. Mr. Charles Dixon was the caretaker and the school was usually warm when we arrived between eight and nine o’clock, and during the day the bigger boys would feed the furnace. Our drinking water was carried in from a pump across the road. There was an insulated tin fountain with a tap at the bottom. We were taught to make a cup out of a page from a scribbler – still a few years away from paper cups. After the second room was added to the Continuation School, the School Board decided it would be better to have a well on the school property. A lot of us, like myself, had never seen a well-drilling machine, and after it was set up and started its rhythmic pounding, it was a fascinating sight. We checked every day to see how deep they had driven and watched the five or six- inch steel pipe disappear into the ground until the next piece had to be attached. Eventually rock was struck and, for several days, little headway was made. Perseverance broke the rock and, at ninety feet, enough water was coming in that it was judged a good well. One thing was wrong – the water had a yellow tinge. A pump jack and engine were set up and it was decided to pump steadily until the water became clear. The pump ran night and day and the level in the pipe couldn’t be lowered and the colour stayed the same. The water was tested and found perfectly safe for drinking so the pumping stopped and we had our well. The well was on the Continuation School grounds and near it was a flagpole made of angle iron on a concrete foundation. Memory makes it about twenty to thirty feet tall. Here on the twenty-fourth of May ( or probably the day before as Queen Victoria’s birthday was still a holiday and the school was closed along with most everything else) we raised the Union Jack making sure it was right side up and we sang “God Save the King” and “The Maple Leaf Forever”. We were being instilled with love and respect for the Empire. When we opened our readers in the early thirties the first thing we saw was a coloured picture of the Union Jack and on the next page, the words to “God Save the King”. History consisted almost exclusively of Canadian and British History. Mrs. Snyder could recite the names of the British rulers along with the dates of their reign far back into ancient times. We were instilled with a pride in the Loyalists and I found it rather embarrassing when she would go on about the Stuarts and the land grant and how old the house I lived in might be. The year before we attempted our examinations to enter the Continuation School, we were prepared by studying the entrance examinations back into the middle nineteen-twenties. We were broadsided by the esteem with which she had held for previous classes some of which contained our brothers and sisters. She despaired of us ever passing out of her classroom. The thing was that these same seniors had been in the school when we started and I had vivid memories of them being berated in the same way. We tried our entrance examinations in the junior room of the Continuation School under a neutral eye. Here we saw the seniors from neighbouring schools who, as it turned out, made up the Grade IX class in the fall. There were a lot of serious faces and I don’t believe there were many failures. The next year we were informed by our juniors that Mrs. Snyder declared that she had never seen such a bright class as we had been. There isn’t much new about brainwashing. Though we never saw it, there was a bell in a cupola on the roof of the public school. A rope descended into the school room and at 9:00 a.m. and 1:00 p.m we were summoned to our desks. There was a ten-minute recess mid-morning and mid-afternoon and the bell was rung to remind us that leisure time was gone. In winter we loved to see a heavy fall of new snow. Then we played fox-and-geese. We tromped a circle as big as we could in the school yard and made trails to the centre where a six-foot space was stomped down. This was home and here the fox couldn’t get you. We took turns being fox and chased one another around the trails with such screaming and laughter. We built, sometimes, quite good snow forts and chose sides for snowball fights. Just beyond the school property, beside an old rail fence, there was a low spot in the farmer’s field. If we had a January thaw, it filled up with water and then froze making a great spot to run and slide and take the feet out from one another. If it was very cold the dark entry of the school was used for “Puss in the Corner” and “Blind Man’s Bluff.” Here we discovered the school bully who shall remain nameless. He got away with his mean actions for awhile but was eventually found out by Mrs. Snyder and soundly thrashed. She also encouraged us to gang up on him and thrash him ourselves but her iron hand got the message across and he needed only to be reminded when he got mean again. We did exercises in the school room every day in very cold weather. We stretched every which way – jumped up and down and around the aisles. In the neighbouring Continuation school we were referred to by the principal as “The Thundering Herd”, a book by the well-known author, Zane Grey. Speaking of books, it was Mrs. Snyder’s pride that she instilled in us a love of reading. I remember her of a morning, reading a verse from the Bible and when she discovered some new book of poetry, she read verses to us. It took; and many of my school friends became readers and sixty years later are thanking her for her inspiration. The school had a little cupboard, if I remember, about five feet square, fastened to the north wall. It was kept locked until a time on Friday afternoon when it was opened and we could borrow a book to take home for the weekend. Mrs. Snyder kept a notebook as ledger and it was marked as to the date and name of the book taken and the name of the borrower. If it wasn’t back on time one received stern notice to get it back. The reader must not come to the conclusion that our teacher was an ogre. Children always come out with something funny without trying and many’s the day our teacher and the whole room would issue gales of laughter. Sometimes it went on and on and I remember her sudden sobering and shouting, “That’s enough!”. We got back to lessons. Eventually, in the late 1930’s, I passed from the Public to the Continuation School and began a whole new set of experiences. Mr. George Pierce was the principal and he lived in a rented house about a quarter of a mile west of the school where the Wales Road made one of its right-hand turns. My memory is of a rink that he instigated on the garden plot. This was while I was still in public school and I have no memory of ever skating on it but can remember watching the high-school boys play hockey. These were the young men that in just a few years would be going away to war. Some of them were good athletes and had they been born thirty years later, might have made it into the professional leagues of hockey. In school we had a field day every fall – or was it in the spring? Anyway we had a broad-jumping pit and standards for high jumping and the pole vault. Our dashes and foot races were held on the asphalt surface of main roads. We were a pretty rag-tag bunch by today’s standards but the competition was keen and sometimes bitter. There were four trophies: Junior and Senior boys and Junior and Senior girls. I won a trophy one year but think it was just because I had grown a bit bigger and stronger than my compatriots. The brothers, Dalton and Milton Vipond, were the best athletes I think the school ever produced. Dalton was killed flying bombers out of England in the early 1940’s and Milton met his Maker in the army in Korea in the 1950’s. After all this time I think of the terrible sadness brought onto our friends and families. We had a regulation softball diamond on the Continuation School grounds and it had a good mesh backstop and was well used. It was only a matter of time until old rivalries with Aultsville saw us playing at home one week and on their diamond the next. After I finished school we had a team in the Northern Stormont League and played our home games on this same diamond. One other detail – the Aultsville rivalry was helped along by the old boy-meets-girl thing and a lot of great friendships developed. We played soccer in a disorganized way but it was fun. Tackle football was not allowed so we played a game called, ‘touch’. I agree with this completely knowing some young men who had their knees badly injured. In the early winter, the Continuation School put on a Commencement Exercise. This included choral singing, a display of gymnastics, the presentation of trophies and graduation certificates and a play. I took part in plays several times – rather unwillingly, but the ham did come out. Our parents and friends turned out to see us, quite filling the chosen church hall to capacity, and I never heard anything but praise for our “acting”. We had a succession of good teachers from grades nine to twelve. Our one unfortunate experience was during the War when we had a Miss Weagant who had positive Nazi leanings. We eventually rebelled and I know I went out of the window while she was out of the room. I reported to my father who was a school trustee that I would not go back. The School Board took the young people’s complaints to heart and she was dismissed and replaced in mid-term. The unfortunate thing was that I think yet that she was a good teacher. It was not yet time for every family to have an automobile and most of us got to school on bicycles. In winter several of my friends, who lived seven or eight miles from the school, boarded in Wales or with local farm families, going home only on weekends. Donald’s two books, “No Road Back, A Grown Boy’s Stories of Wales”, and “Anyone Can Write a Country Song” are available at the store during museum hours or online. The village of Wales was a scene of a conflagration lost Friday night which at one time threatened to wipe the place off the map. Six buildings in the business section were destroyed, along with considerable of their contents. The fire started with a spark from the chimney of Jacob Brassard’s kitchen about 7 PM and this building, along with Mr. Brassard’s house and bakery, were quickly in flame. The village is entirely without fire fighting equipment and as a high wind was blowing at the time, it was feared that the whole place would be destroyed. A telephone message was sent to Mayor Cavanaugh of Cornwall asking for assistance. The Cornwall Fire Brigade was notified and in a few minutes the Grand Trunk Railway offered to provide a flat car and engine to transfer the fire engine to Wales. A further telephone conversation developed the fact that the fire engine would be useless, as the only available water would be from a few wells which were nearly dry. Consequently the orders to the Cornwall brigade were cancelled. The Wales Bucket brigade fought the flames valiantly and persistently and after struggle of five hours mastered the fire fiend shortly before midnight. Properties destroyed were as follows: Fred Warren’s general store, building complete loss, also outbuildings. Contents, except some groceries and dry goods, complete loss. Insurance, $2,000 in the London and Lancashire, $750 on building and $1,250 on stock. Mr. Warren’s loss is between $8,000 and $10,000. J. Brassard’s house and bakeshop, total loss. Contents of house saved. Insurance, $600 in London Mutual. Storehouse owned by B. Sherwood, leased by F. Warren and used as a warehouse. Building a complete loss, some of the contents saved. Insurance $800. The three story building owned by Mrs. A. Blackburn, first flat used as general store and millinery, most of millinery stock saved, no insurance. Second flat used as dwelling, nothing saved and no insurance. Third flat used as Masonic Lodge Room, contents mostly saved with exception of carpets and chairs. Insurance $200 on building and $200 on Masonic furnishings, both in the Royal. I.O.F. rooms, contents complete loss, no insurance. Mr. Sherwood’s house was singed somewhat and his furniture was badly damaged by being removed. The loss was covered by insurance in the Royal. Dwelling owned by Mrs. A. Blackburn, occupied by Mrs. W. Bigelow totally destroyed, contents saved, no insurance. The first three buildings were on the East side of Main Street, and the other three on the West side. The fire could be seen in Morrisburg and Cornwall and many people drove into Wales from the surrounding country. An eyewitness of the conflagration sent the following graphic story of the fire: The old saying that “Friday is an unlucky day” has certainly proved itself true regarding the village of Wales which on a Friday evening, September 21, was the scene of the worst conflagration ever witnessed in this vicinity. As the facilities for extinguishing fires are not of a number one type, a fierce fight confronted the men of Wales. Water was obtained with difficulty as the village wells were all nearly dry. The wind then swept the fire across the street to the massive frame structure owned by Mrs. A. Blackburn. In the lower part of this were the grocery and the millinery of Mrs. W. A. Bigelow, while Mr. and Mrs. Blackburn occupied the second floor. Above this was the Masonic |Lodge room. Very little belongings to the Blackburns was saved. South of this large building was a storehouse belonging to B. H. Sherwood and rented to F. Warren to store feed, cement, etc. This was also in flames and the residence of W. Bigelow north of this building was in similar condition. Both were laid low. J. D. Colquhoun, who has a large residence in which are the Post Office and the Public Library, removed all the contents to a neighbouring field and his home was saved. The scene was one which an onlooker will long remember. The fascinating splendor of the angry flames which with their roaring and cracking, mocked the efforts of the men. The faces of the crowd, lighted up by their ruddy glow and the crashing of the falling timbers, made a picture both fascinating and awful. At one time, just when the fire was a its worst, a large nighthawk poised itself on high above the leaping flames, looking like the evil spirit of the scene, then silently and majestically floated away into the darkness – fitting place for the looters and birds of prey. Never has there been such a crowd in the village as upon this occasion and never was there a greater display of selfishness and indifference. While comparatively speaking, a few men and women worked nobly, many in the crowd stood with their hands in their pockets, taking a leisurely survey of the conflagration. It was with difficulty that the roof brigade induced them to pass pails of water. Even the looters were not lacking and should be severely punished. The village presented a mournful spectacle the following morning, with heaps of blackened ruins in the places formerly occupied by comfortable homes. The owners fortunate enough to save their furniture were taking it to their temporary abode. It is not expected the burned buildings will be rebuilt for some time. Experience is always an expensive teacher, but there are two deductions to be drawn from the exceedingly tough proposition of the Wales fire. One is that every village should provide itself with some adequate means of defense against fire. The second is to keep heavily insured.